Maccura is an integrated in vitro diagnosis company offering a wide range of products in the areas of clinical biochemistry, chemiluminescent immunoassay, rapid diagnosis, thrombosis, hemostasis, and molecular diagnosis. The IS 1200 automatic chemiluminescence analyzer combines advanced precision analytic instrumentation and magnetic microparticles-based enhanced immunoassay technology with thoroughly developed companion reagents. 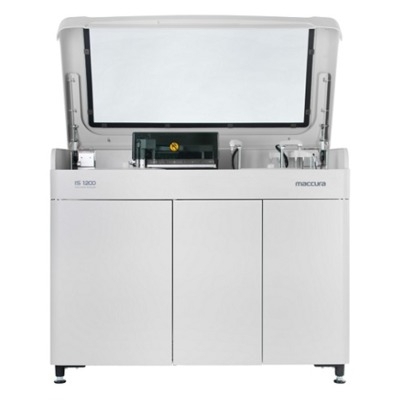 This allows it to offer a wider assay dynamic range, increased sensitivity of detection, improved assay speed, flexibility of assay choices, and reliability of measurement.